Size: 10' 1" X 31 to 59" (111 Board Feet) plus 30"x 31" matching support base. 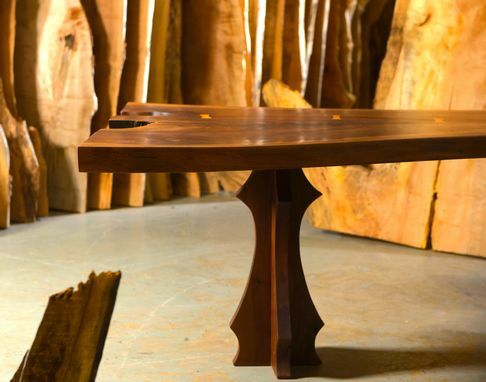 This is truly an Erdei Original, with a custom hand cut wooden leg and stunning base. This Desk is for the Elite Executive. 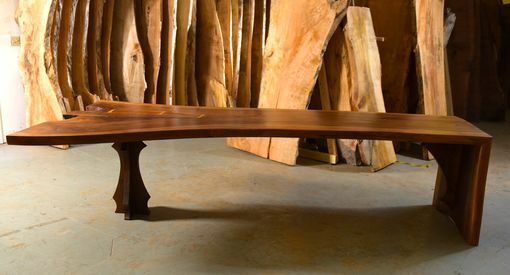 Rescued from Northern Washington, this slab was over 13 feet long, which allowed Peter to continue the unique grain pattern into the support base. 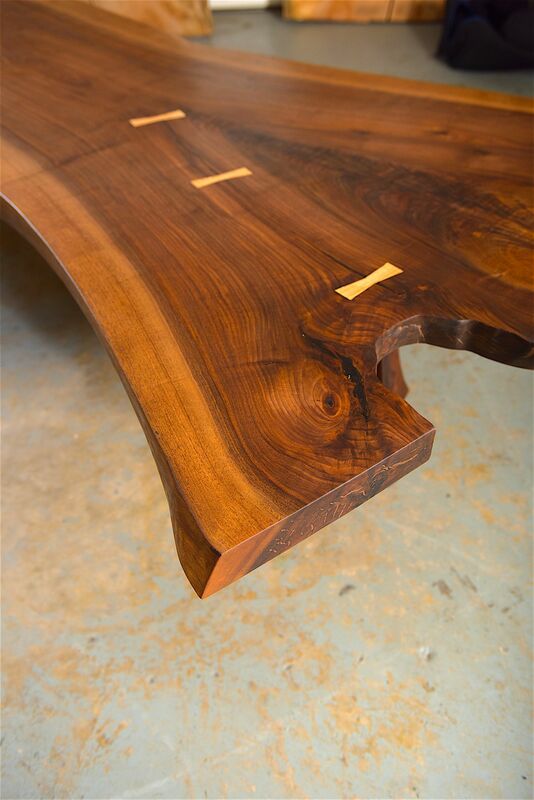 The custom-made center leg is crafted from the same Claro Walnut as the rest of the piece. To finish the piece and make the patterns and unique grain characteristics stand out, Peter rubbed a Danish Oil into the wood followed by a proprietary wax to maintain the luster for years to come.